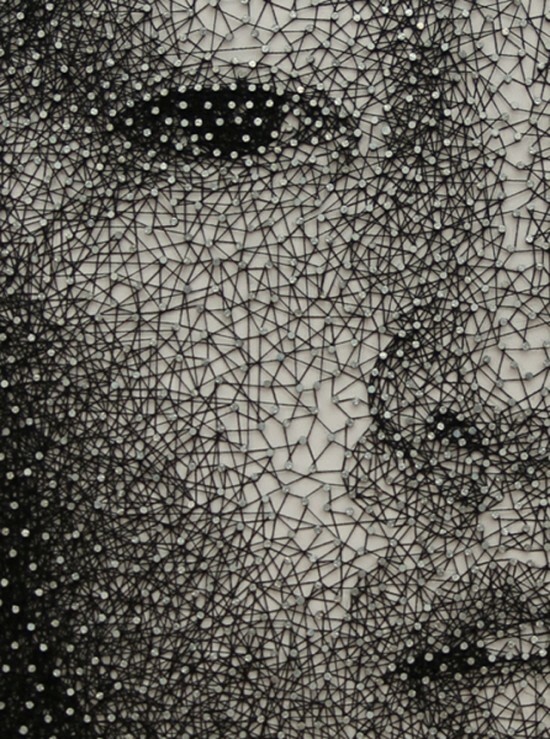 The Japanese artist living in New York City uses all kinds of common objects to create arresting images, in her quest of exploring art beyond the confines of traditional media. 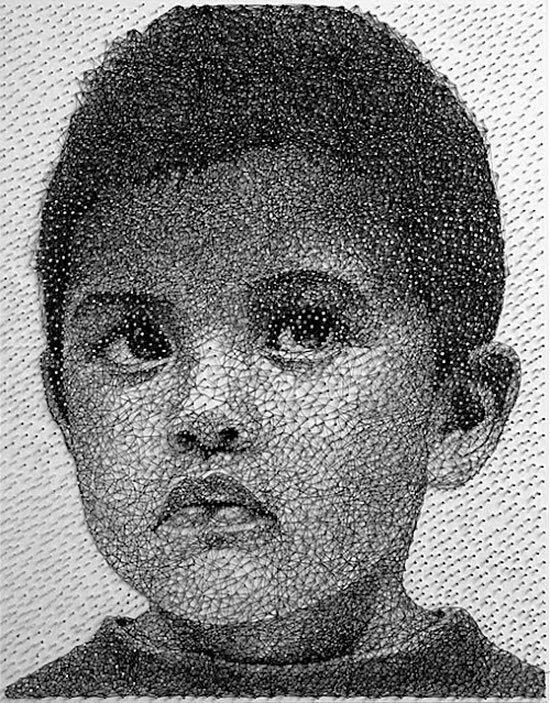 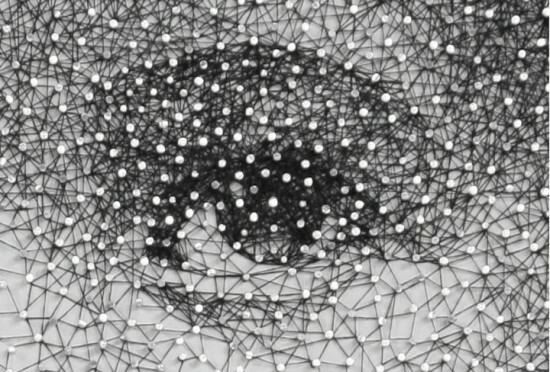 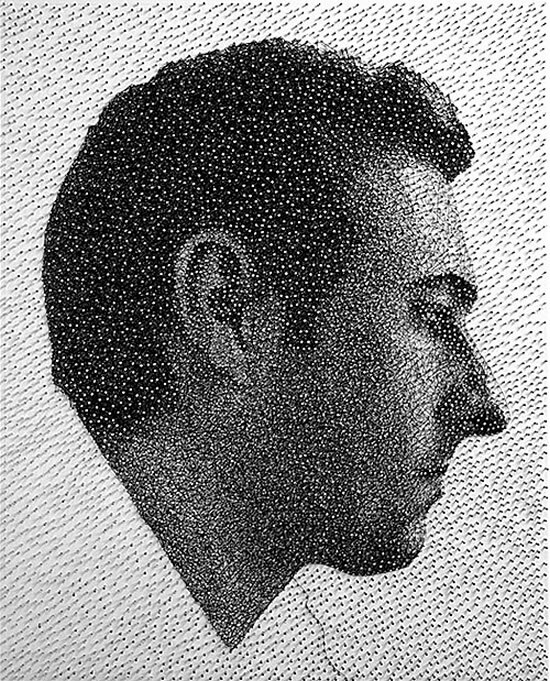 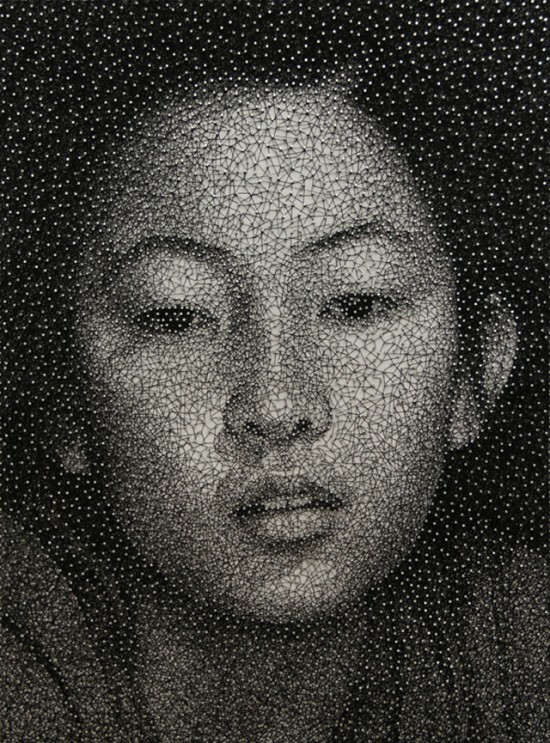 Perhaps her most impressive technique is creating portraits by using a single thread weaved around a series of nails, on a white background. 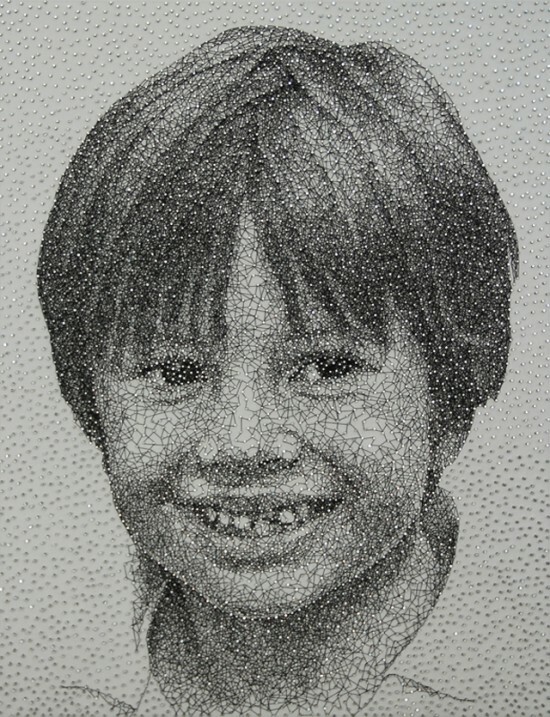 We’ve seen portraits created with thread and nails before, but nothing quite like what Yamashita can do.